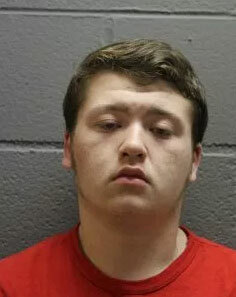 Cook County Sheriff’s confirmed that Andre Naydenov, 16, was behind the wheel of a gang-related drive-by shooting that killed 20-year-old Jose L. Castaneda Jr. at the entrance to Silver Lake Apartments on February 1, 2019. The alleged shooter’s identity has not been released, but the alleged shooter is in custody following investigation of another case. Andre Naydenov, suspected driver in drive-by shooting, Palatine. Andre Naydenov is a Palatine High School freshman, and is being held on $750,000 bond after being charged with first-degree murder. The lower bond for a murder case was explained by Judge Marc Martin, saying he considered Naydenov’s age and noted that Naydenov is not accused of being a shooter or firing the weapon that killed Castaneda. The alleged shooter had not been interview prior to Friday February 8, 2019. 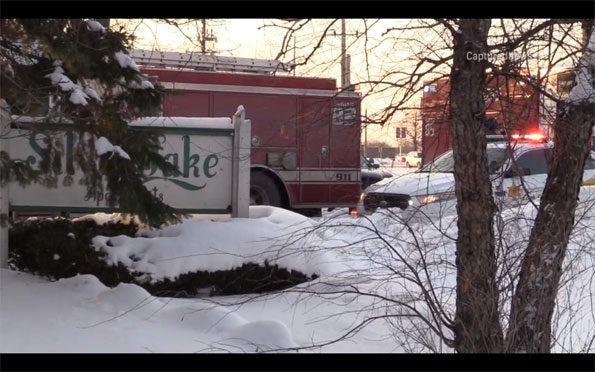 The shooting occurred on February 1, 2019 outside the Silver Lakes Apartments complex in Palatine — just south of Rand Road and just west of Route 53 and the Frontage Road — after Naydenov and a passenger encountered Castaneda and his friend at a gas station and followed them in a silver BMW, according to Cook County Assistant State’s Attorney Jennifer Gates. The alleged accomplice/shooter told Naydenov that Castaneda and his friend were rival gang members and they would have to “stomp” them. After telling Naydenov to stop the car, the gunman opened the front passenger door and fired several shots from a 9 mm handgun. Castaneda was struck in the back, and killed by the gunshot wounds. 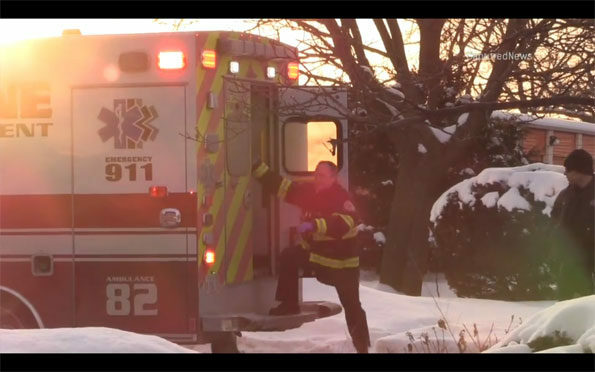 Castaneda was transported by Palatine Fire Department firefighter/paramedics to Northwest Community Hospital after brief treatment on scene, and after police were administering CPR before firefighter/paramedics arrived. The shooter and the driver fled in the BMW, but an investigation led to Naydenov, who was arrested earlier this week after being questioned by Cook County Sheriff’s police investigators regarding another incident. Naydenov told investigators he knew his passenger had the handgun that day. 2) a male unknown with dark skin 5’5” with a medium build and wearing a black jacket and black hat. Both suspects were described as being last seen southbound from the scene, but initially the suspect information did not include that they fled in a vehicle. Naydenov’s next court date is Thursday, February 28, 2019. 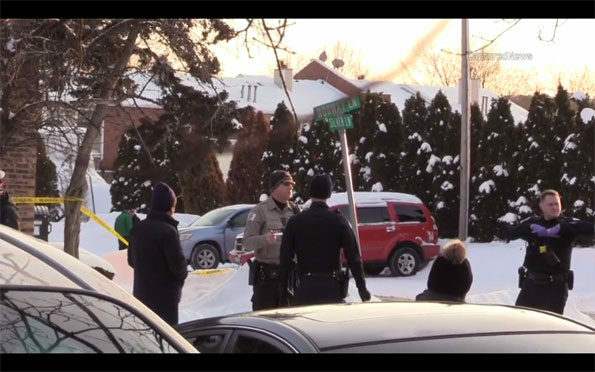 Palatine Police and CCSPD at shooting (CREDIT: CapturedNews). 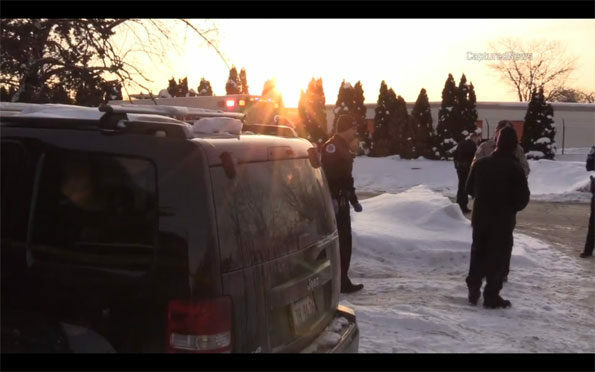 Palatine firefighter/paramedics at shooting (CREDIT: CapturedNews).